Home & Auto | Truitt Insurance & Bonding, Inc.
We know how hard our clients work to build a better future for themselves and their families. But, what is even more important in today’s world than building the assets you have worked so hard to acquire? PROTECTING THEM. At Truitt, we have full-time staff dedicated strictly to locating the best insurance alternatives available for your home, auto and other personal possessions. All of the insurance carriers we represent are rated “A-Excellent” or higher by A.M. Best Company so that you can rest assured you will be able to rely on the companies providing your insurance coverage. Truitt Insurance & Bonding welcomes the opportunity to work with you on any of your personal insurance needs. We are confident you will be well-pleased with the friendly, professional service and results provided. Other structures on your premises such as a permanent utility shed or in-ground pool. Additional living expenses, over your usual expenses, when your home is uninhabitable because of a covered loss. Liability arising from lawsuits for bodily injury or property damage as well as the cost of legal defense. Medical payments which may be necessary as a result of injuries suffered by others, either on your premises or by your actions. 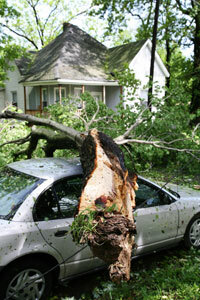 Liability coverage for bodily injury & property damage. Medical payments for injuries suffered in an accident. Other than collision (formerly referred to as comprehensive). We strongly encourage our clients to carry personal umbrella protection to help insulate their assets should they become involved in a legal dispute in which they are accused of being at fault. Most people do not realize that your basic homeowner and auto policies might not provide enough coverage in the event a lawsuit is brought against you in today’s legal environment. Lawyer’s fees, court costs and liability judgements associated with a lawsuit often reach amounts that can seriously threaten your family’s financial well-being. Unexpected occurrences happen every day – such as a family pet attacking a neighbor’s child, or someone drowning in your swimming pool, or being involved in an accident where someone is killed or disabled. Lawsuits arising from these kinds of unfortunate accidents can have a devastating impact on your financial well-being if you are not adequately insured. A personal umbrella policy is an easy, affordable way to help safeguard yourself and your family. An additional coverage that is extremely important protects you and your family against flood damage. Flooding can occur practically anywhere for a number of reasons. Under most standard insurance policies, you will have no coverage for a flood unless acquired through a separate flood policy. Even if your property is located in a low-risk flood area, flood insurance should still be acquired as over 25% of all flood claims involve properties located in areas identified as a moderate-to-low flood risk. At Truitt Insurance & Bonding, we welcome the opportunity to help you decide what insurance coverage truly meets your needs. Our staff will be happy to work with you in a friendly, no-pressure environment.